Please consider donating a pie to the May-Port CG Booster Club Turkey Dinner. You can go to www.perfectpotluck.com and enter coordinator name Hutter and password Patriots to sign up. 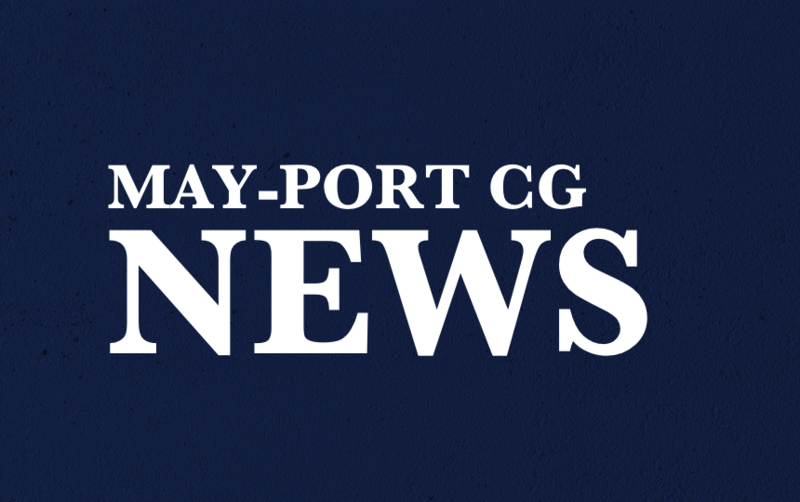 Further details can be found on the Perfect Potluck website or the May-Port CG Booster Facebook page. Students: Please check your email! Mrs. Strand sent out a reminder about work times and jobs for the Turkey Dinner on Sunday. The Junior Parents Post-Prom Meeting has been rescheduled to October 18th at 7:30 pm at the Pizza Shop to start talking over ideas. Middle School Students that would like to try out for the Academic Challenge Team please meet Mr. Ulland in the Auditorium at 2:45 today. Bring a pencil! FCCLA will be selling Apples with caramel at Common Time today for $1 in the HS Commons. Support Children’s Make A Wish during October Children's Health Month! FBLA will be serving a Baked Potato Bar tonight starting at 4:30 in the High School Commons, along with a Silent Auction. The proceeds collected will help fund the Dolly Parton Imagination Library Books for Kids program. Jr High Football will practice today at the hockey arena right after school. Students will be transported by bus. Today the Volleyball teams play Hatton-Northwood at home. The 7th grade game starts at 4:00 at PBJ, followed by the 8th grade game. The C-Squad game starts at 5:00 at the High School, followed by the JV and Varsity. Tonight is also the Volleyball Senior Parent Night. Let’s all come out and support the Patriots! Today’s menu is Swiss Ham Hotdish, Peas, and a Chocolate Chip Bar.